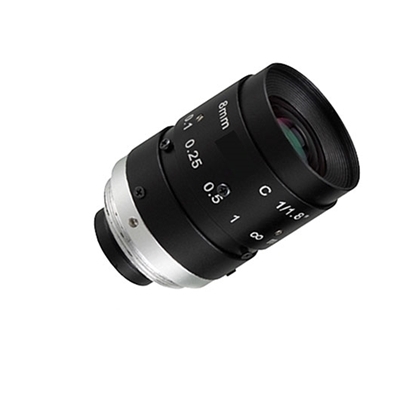 1/1.8" 6.0mm F/1.4 fixed focus lens for industrial camera, manual iris, C-mount, has a resolution of 5 Mega Pixel with good image quality and nice color, an ideal choice for machine vision. 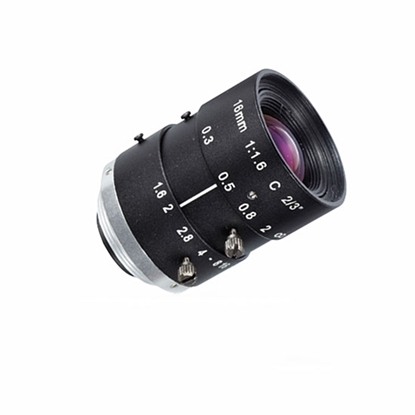 Manual iris fixed-focus lens is compact size and light weight for industrial camera with C-mount (1-32UNF), format 1/1.8", focal length 8.0mm, and aperture f/1.4, to capture high-quality photos with a resolution of 5 Mega Pixel. 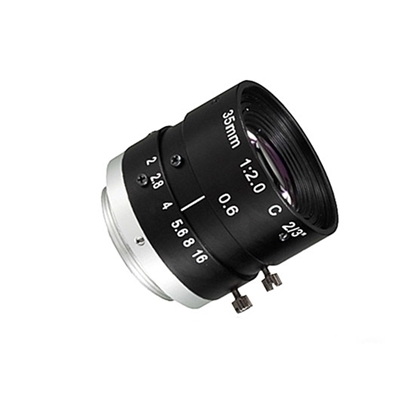 This lens is fixed focus lens for C-mount (1-32UNF) industrial camera, with iris manually adjusted, 2/3" image size, 16.0mm focal length, and f/1.6 aperture, to deliver sharp and clear photos. 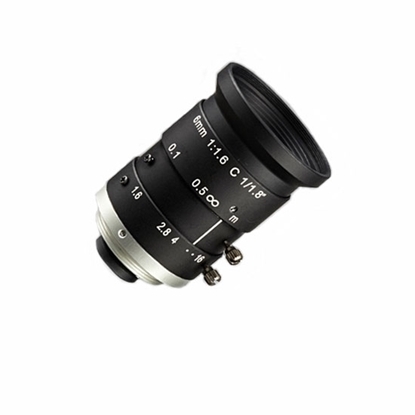 Compact and light F/2.0 lens, format 2/3", focal length 35.0mm, manual iris, fixed focus, C-mount for industrial camera, can provide realistic and clear photos for the users.